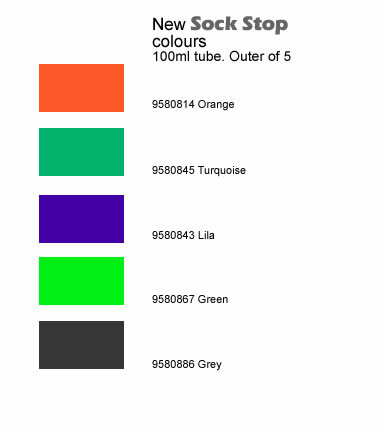 Efco have added 5 exciting new colours to the Sock Stop range. Make your own slipper socks with Sock Stop, Efco’s non-slip latex based paint. 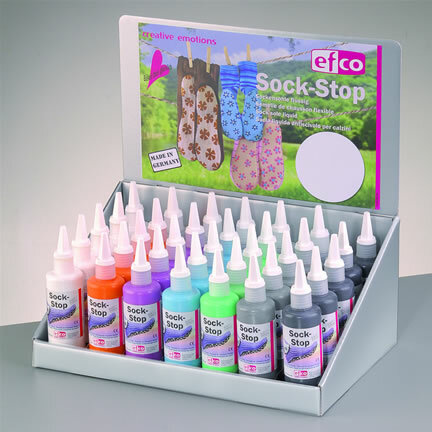 Sock Stop is supplied either as a pack of 5 100ml tubes per colour, or in a convenient counter top display, perfect for add-on sales for anyone retailing knitting wool or felting supplies. Efco will be exhibiting at Craft Hobby and Stitch International at the NEC from Sunday 20th Feb to Tuesday 22nd and we look forward to seeing old and new customers on Stand F50. Judy Balchin will be demonstrating Efcolor low melt enamels and feltmaking during the show. 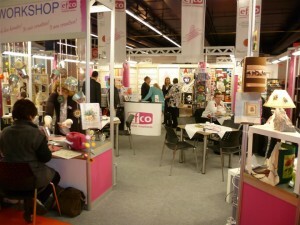 Stitches is a trade only show – visit the ICHF website for information on the show and how to register. 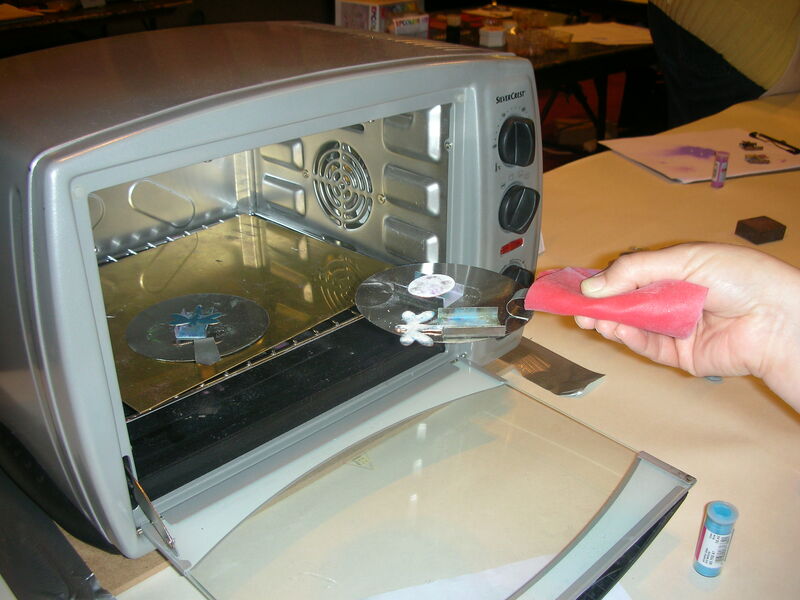 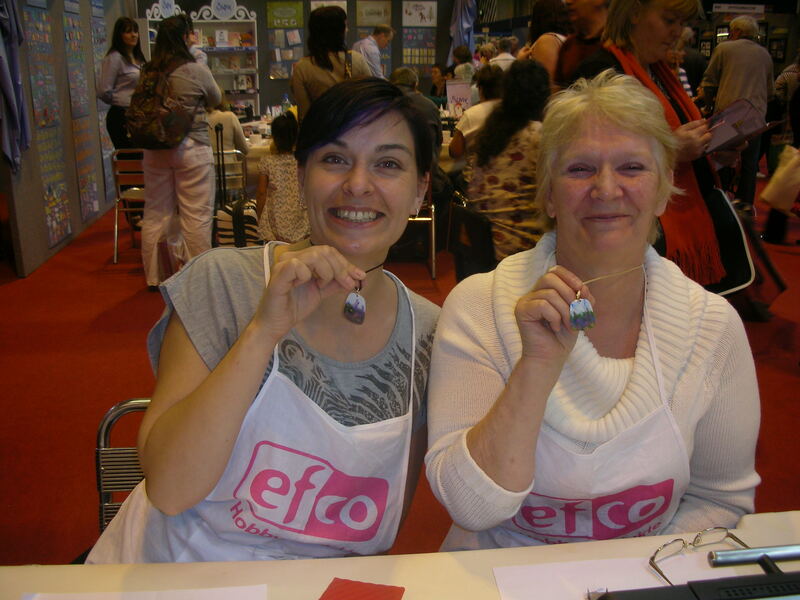 Sue and Fiona had a crazy four days at the Hobbycrafts show at the NEC running workshops on Efcolor low melt enamel to hundreds of enthusiastic crafters. 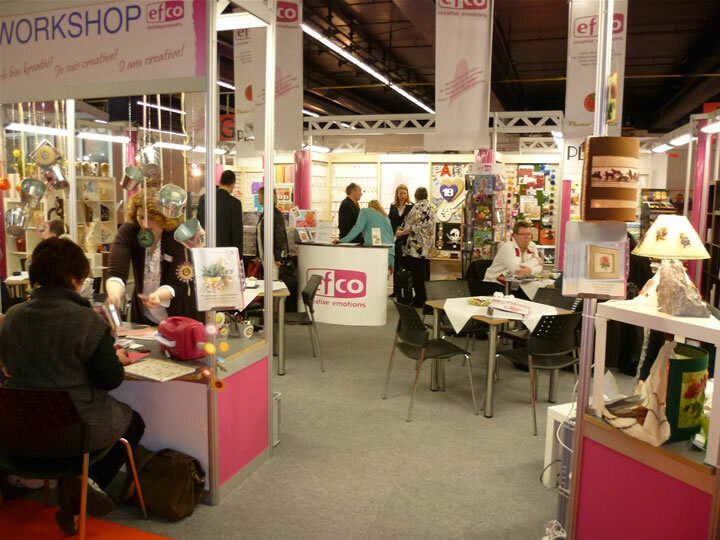 Complete the contact form if you want to know more about Efcolor and other Efco products. 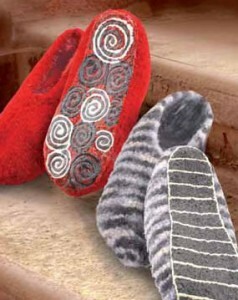 A new product from Efco to add to the Filzi machine feltable felting wool range. 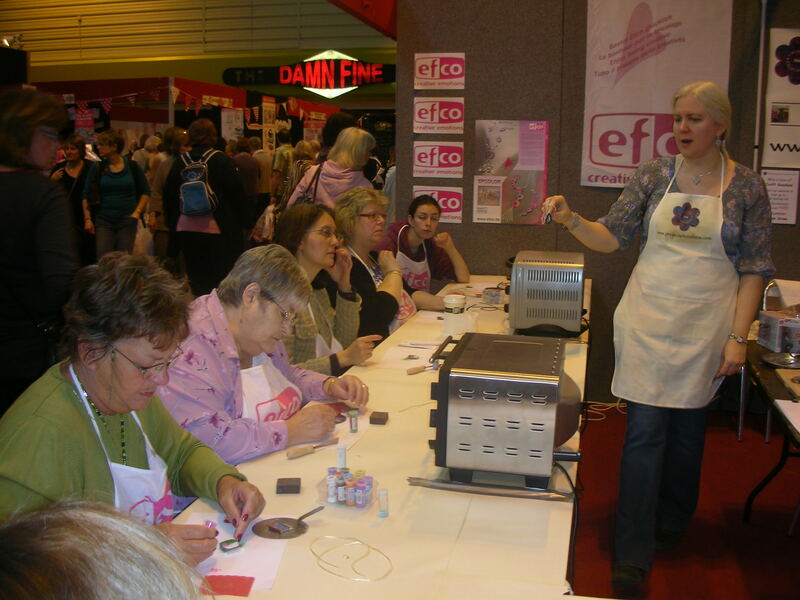 We’ve been delighted with the response to the article on the Efcolor Oven in Make Jewellery Magazine, so here is some additional information for those of you who want to find out more. 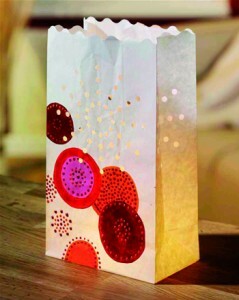 See the bottom of this post for stockist details. As Efcolor fuses at a low temperature it can be used on more delicate surfaces such as card or papier mache as well as on most metal surfaces …. 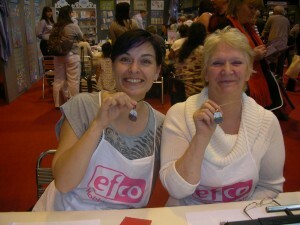 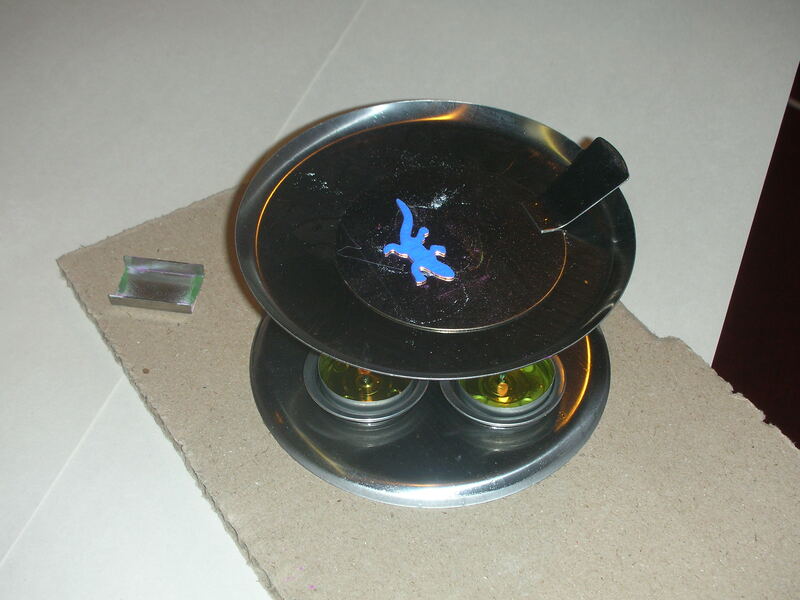 we even enameled some old bottle tops during an idle moment at a trade show! You don’t have to use bottle tops, of course and Efco produce a large range of copper blanks in all shapes and sizes. 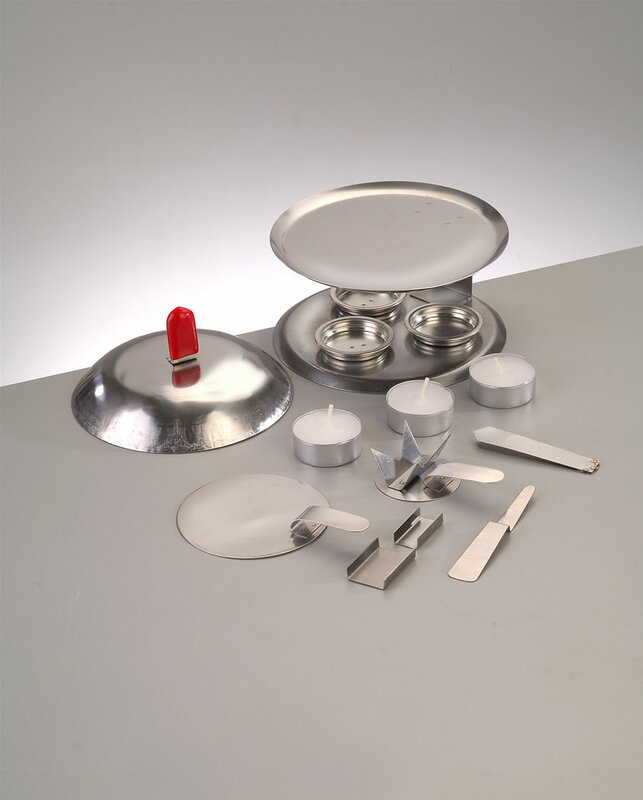 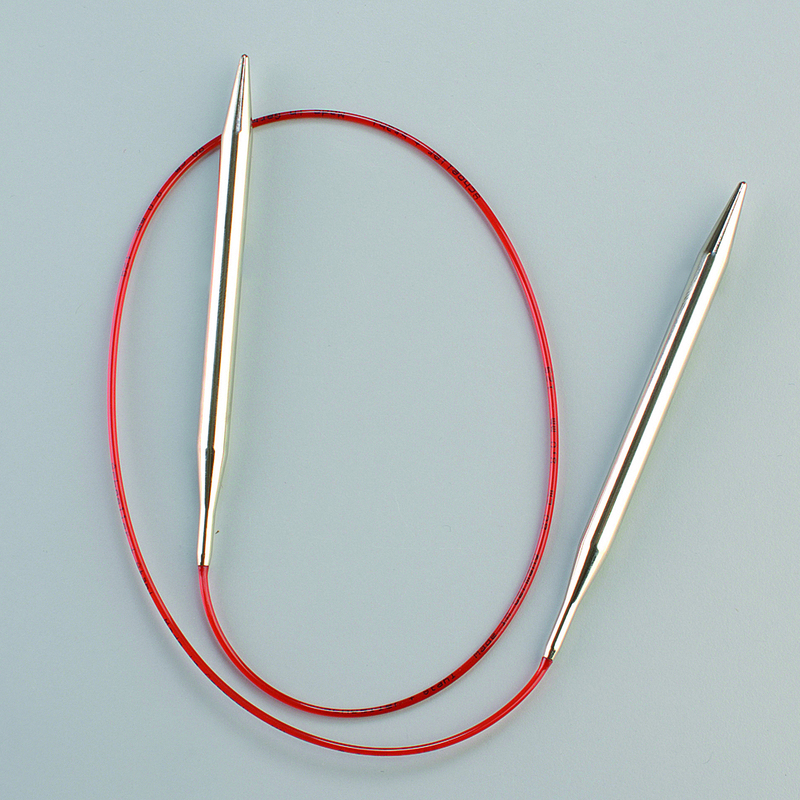 Efco’s blanks can also be used with conventional, high temperature enamel powders. 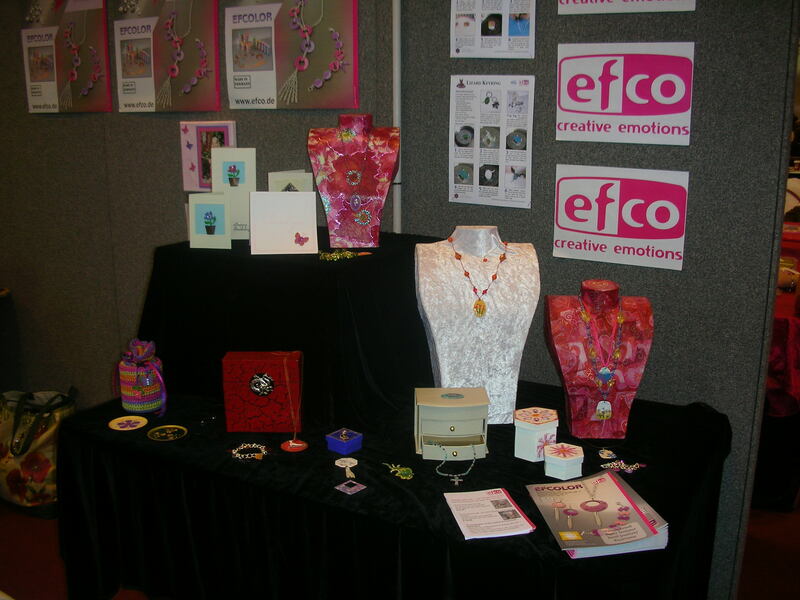 Efcolor low melt enamel powder is available in over 40 colours and differing finishes, opaque, clear, metallic, textured and glitter. 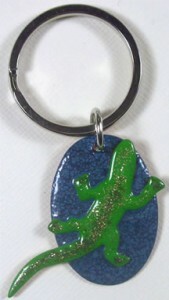 Keyfob made from 2 Efco copper blanks fused together and enameled. For more information on Efcolor and our range of copper blanks, click here to view the catalogue. EFCO Stockists, please note: if we’ve missed you off the list of retailers selling Efcolor – just email us your details via the contact form and we’ll make sure you’re included. Every bit as magical as Chinese lanterns, but with less risk of fire and possible damage to wildlife and livestock from discarded parts. 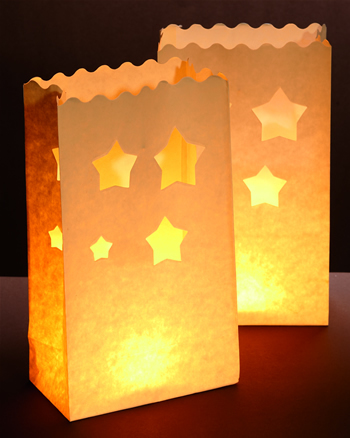 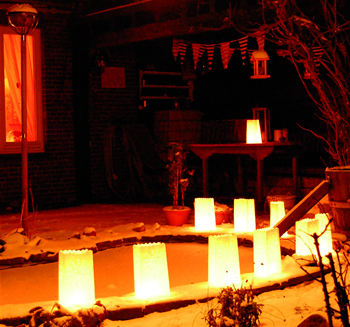 Luminaria can be used either outside or indoors and with either tea-lights (the paper has been treated to make it flame resistant), or with chains of fairy lights (indoors only). 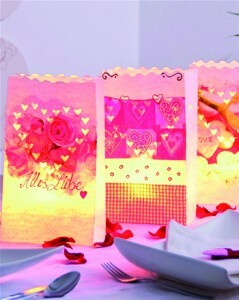 Luminaria can be used “as is” or decorated and will create a stunning setting for a late summer barbecue or party, or a romantic and novel Christmas decoration. 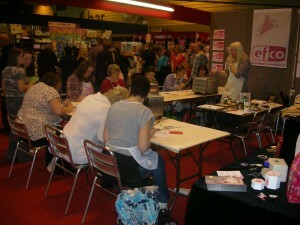 Welcome to Efco, for the greatest selection of craft and hobby products. This is a work in progress at the moment. We will shortly be adding pages with stockist details and news on the latest in craft from Efco. 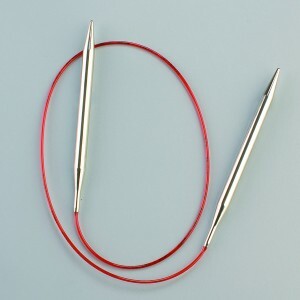 If you’ve any questions, do get in touch with us and complete the contact form at the top of the page.